Use this interactive commission district map to find which district you live in (tip: click within your district to bring up a detail of your commissioner, including bio and contact information). If you know your district number, you can find contacts and bios for all of the commissioners here. Learn about the mayor and their duties. Here is a handy one-page document with the mayor’s and commisioners’ addresses, phone numbers, and term start and expiration dates. Athens-Clarke County has hired Toole Design Group to create the new bike-walk plan, officially called Athens in Motion, for the entire county. The bike portion will update and overhaul ACC’s 2001 Bike Master Plan. This is Athens-Clarke County’s first Pedestrian Plan. Toole’s scope of work will include an education, encouragement, and safety strategy. See more on our master plan page. The Athens-Clarke County Unified Government’s day-to-day operations are overseen by the manager, who is appointed by the mayor and commission. The Manager’s Office implements policies, programs, contracts, ordinances, and resolutions as approved and directed by the mayor and commission. This office performs the administrative functions of the government, which support the activities of the mayor and commission. Please report malfunctioning crosswalk buttons, vehicle sensors, traffic lights, or any other devices used for traffic control to Athens-Clarke County Traffic Engineering. Report broken storm drains, pot holes, blocked or broken sidewalks, flooding, downed trees, or other right-of-way hazards to the Athens-Clarke County Streets and Drainage Division. Athens Transit operates bus service throughout the county. UGA Transportation and Parking Services operates bus service on and around the UGA campus. The Athens-Clarke County Planning Department manages community change with respect to land use and transportation. The Madison Athens-Clarke Oconee Regional Transportation Study (MACORTS) is a transportation planning mechanism and the conduit through which federal transportation funds come to the urbanized area. MACORTS is housed in the Athens-Clarke County Planning Department. The Athens-Clarke County Planning Commission is a body of residents appointed by the mayor and commission to make recommendations regarding Planned Development requests, Special Use requests, Rezoning requests, the Planning & Zoning code, the Comprehensive Plan and other planning and development-related matters. Transportation Special Purpose Local Option Sales Tax (TSPLOST) is an additional 1% sales tax approved by Athens-Clarke County voters in a November 2017 referendum to fund capital transportation projects. The SPLOST management team oversees the planning, design, and construction associated with the capital improvement projects and assists in program scheduling, financial management, and reporting. The Georgia Department of Transportation (GDOT) manages state and US routes that run through Clarke County, most notably Milledge (SR 15), Atlanta Highway to Lexington Road (US 78), and Prince west of Milledge (SR 15 and US 129). GDOT has district offices that cover areas of the state. Athens-Clarke County is Area 2 within the much larger District 1. 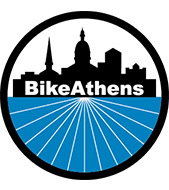 The Governor’s Office of Highway Safety (GOHS) provides funding to BikeAthens and has other programs related to safe cycling and walking in Georgia. The Georgia Department of Transportation (GDOT) has a Bicycle and Pedestrian Coordinator.